Fukushima Radiation Has Now Reached the U.S., Canada & Mexico! Fukushima Reactor #2 Pressure Vessel Breached, Rising to “Unimaginable” Levels of Radiation. 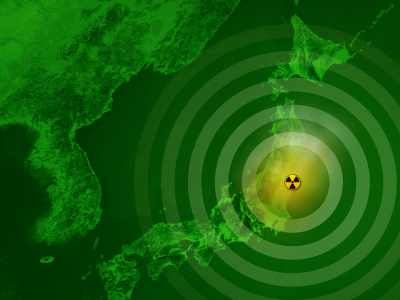 Latest Radiation levels at Fukushima are now the highest since the original 2011 meltdown — and now has crossed the Pacific to reach our own shores! Learn the latest news — and what you can down at home to help your body cope with this disaster. Read more to learn how raw food protects you from radiation. Radiation levels inside the damaged reactors at the Fukushima Daiichi nuclear power station are at their highest since the plant suffered a triple meltdown. Recent readings described by some experts as “unimaginable”, are far higher than the previous record of 73 sieverts an hour. 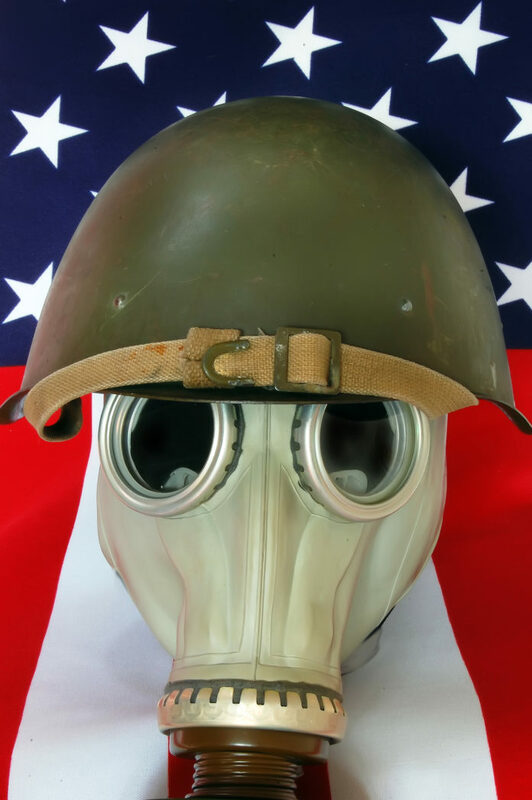 A single dose of one sievert is enough to cause radiation sickness and nausea; 5 sieverts would kill half those exposed within a month and a single dose of 10 sieverts would prove fatal within weeks. In the official reports they actually admit that they don’t know where the core actually is! 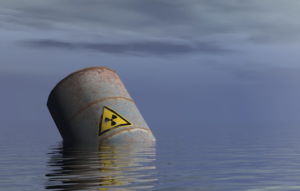 Now Japan plans to dump 920,000 tons of nuclear waste into the Pacific! Japan has been illegally dumping nuclear waste into the ocean for many years. But now, with the three crippled Fukushima reactors still leaking highly radioactive water into the ocean, Fukushima’s radiation has reached the U.S., Canada, and Mexico. So Japan is now officially planning to dump Fukushima’s waste products into the ocean because they just can’t keep up. Robots sent to assess the damage have been destroyed by the radiation so it’s hard to get accurate information. One camera lasted long enough to show molten debris has burned through the bottom of the reactor and is leaking radioactive material into the groundwater. I personally extend my prayers and sympathies to all who are still suffering from the earthquake, tsunami and nuclear disaster in Japan. I have been asked many times now about what we can do to protect ourselves from the radiation risks that now faces much of the planet – because we are all affected by this tragedy! There is a profound connection between alkaline-forming raw foods, alkaline mineral water and ionizing radiation. You see, ionizing radiation does the same thing to your body cooked, processed, acid-forming foods do only much, much faster and more deadly. Simply put, ionizing radiation scavenges electrons from the molecules of healthy cells in the same way that the free radicals in cooked, processed food does. The acidic toxins caused by cooked, processed foods will slowly kill you. The results from ionizing radiation are often much faster and more deadly but the principle is the same — raw food protects you from radiation! The first, most basic thing you can start doing right now is to start drinking ionized alkaline water, also called alkaline mineral water, made with a water Ionizer. You can even build your own — get instructions at the link below. The second most important thing you can do is to eat more alkalizing raw food protects you from radiation! Ionized water and alkalizing raw foods are among the best ways to alkalize your body and help protect it from the effects of ionizing radiation! Drinking ionized water, which is made up of microclustered or structured water, also improves hydration, which improves the absorption and effectiveness of the supplements or nutritional products you should also be using for radiation protection. Nuclear energy expert Dr Helen Caldicott tells the truth about Fukushima and nuclear energy that you won’t see on TV. Here’s the thing – the fallout from Fukushima is going to get worse long before it gets better … probably for years or decades. Supplements are important but are only a short-term solutions. For the long-term you need to discover a whole new, healthier way of life with built-in protection against ionizing radiation – and that starts with alkalizing everything you eat and drink — with fresh, whole and organic raw food! All the Fukushima reactor cores are seriously damaged. Since it can take up to 100 years before the spent fuel rods at Fukushima to cool enough for removal, this means that we will all share this disaster with Japan for another century! Reactor Core No. 3 is the one with an extremely dangerous MOX core that’s two million times more deadly than regular enriched uranium. If this reactor is breached it doesn’t even matter what happens to the other reactors at Fukushima! With Fukishima’s 1,760 tons of nuclear fuel, compared to the mere 180 tons at Chernobyl, Fukushima is destined to dwarf the Chernobyl disaster! Today, radiation from the Fukushima has been detected in the Pacific Ocean off North America, Canada and Mexico! In the end, this radiation will end up in your food and water. If you have to choose between toxic GMO foods and food that glows in the dark, suddenly GMO’s may not look so bad! My raw food friends on the west coast are really worried. Of course, in the U.S. the FDA and USDA have different priorities the rest of us. In California, if your raw milk starts glowing in the dark the FDA were would probably seize it – not because it’s radioactive but because it is “raw.” The FDA is more worried about milk being raw than it is worried about the iodine or cesium isotopes that may be in it! Not only is your government unconcerned about irradiation of food, they actually encourage it for sterilization! Apparently our government believes a little radiation is actually good for you! Medical x-rays including mammograms, dental x-rays, CAT scans , etc. Though Japan refined and popularized water ionizer technology, it was actually the Russians that did the early research and development starting over 75 years ago. When they discovered that negative ions were good for human health they realized that the opposite must also be true — positive ions are bad for human health. Next they theorized that adding negative ions to water could be very healthy. The ionized water they invented is one of Russia’s greatest scientific achievements and a gift to the whole world for which we should all be thankful, though it has gone mostly unrecognized despite the worldwide popularity that water ionizers enjoy today. Though hidden from the west by the Soviet Union for decades, the Russians have been studying water ionizer technology for radiation exposure for 50 years! The reason has to do with the Soviets secret nuclear programs. You see, the Soviets had numerous nuclear disasters in Russia that we didn’t know about until the mid 1990s! So they were secretly pursuing protocols for the treatment of radiation exposure, including the use of ionized water. The most significant of these projects we now know about was called the Chelyabinsk Project, created by Vladimir Egov in the 1960’s. Chelyabinsk is one of the most remote places in the former Soviet Union. Due to several nuclear incidents in that area, more than 500,000 people have suffered as much as 20 times the radiation exposure as created by Chernobyl. Chelyabinsk it is now called, “The Most Contaminated Spot on the Planet. ” I suspect this title may be going to Fukushima if something doesn’t change soon. One of the things they wanted to find out in the Chelyabinsk Project is whether ionized water could protect the body from the ionizing effects of radiation. The answer was YES! Just like they discovered in Russia decades ago, you can use ionized water, or alkaline mineral water, to effectively help protect your body from the effects of ionizing radiation. For one of the best water ionizers I have personally used, check out Life Water Ionizers. To protect yourself from Iodine-131 take 5 kelp tablets daily. The body will absorb the kelp instead of the Ioidine-131. To protect yourself from cesium-137 eat plenty of high-potassium raw foods. Potassium inhibits cesium uptake in he body. Foods high in potassium include avocados, sea vegetable, and leafy green vegetables. To protect yourself from plutonium eat lots of dulse and veggies that contain plenty of iron like spirulina, bluegreen algae and chlorella, which contains more iron than red meat. Miso has also been shown to have a protective effect. I eat raw, organic dark leafy greens like kale and spinach every day, plus at least one avocado! I put a mix of spirulina, bluegreen algae and chlorella in my smoothies daily. Alkalizing raw foods are high in antioxidants, helping the body cope with radioactive elements that cause anti-oxidant depletion which leads to health problems. Radioactive contamination becomes more concentrated higher on the food chain, so vegan raw food assures you of eating low on the food chain – a basic principle for health in general as well as radiation protection. A Raw food, plant-based diet, low on the food chain, is the healthiest diet now more than ever! One of the most bio-available forms of iodine, it helps counteract the effects of radioactive Iodine and may be effective in lowering accumulated and stored radioactive toxins in the thyroid. A radioactive isotope of cesium known as Cesium-137 can also be formed as bi-product of nuclear fission. Potassium orotates can prevent the accumulation of Cesium-137. In fact, getting enough potassium from food such as bananas is a good first step at preventing radioactive cesium 137 retention. However potassium in the diet may not be enough so supplementing with Potassium Orotate is the best for radiation exposure. These essential minerals can decontaminate Strontium 90, lowering Strontium absorption by up to 90 percent. Dimethylsulfoxide is an antioxidant sulphur compound that detoxifies and protects the body from the effects of radiation. It also neutralizes exposure from radio-isotopes. Animal studies have shown that rats exposed to x-ray radiation could be protected from the negative effects of the exposure via the intake of DMSO. This chemical could at least partially protect the rats by halting the typical toxicant reactions associated with radiation. Another study from the School of Medicine at the Yokohama City University in Japan found that DMSO offered protective effects for cell destruction, as well as DNA aberrations, in mice exposed to radioactive substances. Several kinds of clays can bond to nuclear waste in the body, including Kaolin, Red Clay, Bentonite, Fuller’s Earth, Montmorillonite. French Green Clay is another clay with the ability to detox radiation, toxic metals and chemical residues. In the former Soviet Union they added this type of clay to chocolate bars that were given to citizens to help them remove radioactive waste from their systems. Studies have shown that charcoal possesses the unique ability to neutralize radiation, and that 10 grams of charcoal can neutralize up to 7 grams of material. Papain is a cysteine hydrolase extracted from papaya fruit prized for the ability to reduce toxins. IOne laboratory study on rats found supplementing with papain could help them survive a lethal amount of radiation, whereas control rats did not survive. Beets help the body rebuild radiation-damaged hemoglobin. In fact, animal studies have shown that rats on a diet heavy in beet pulp were able to more effectively reduce the effects of radioactive cesium-137 than rats who did not eat beets. Oils like sesame oil, extra virgin olive oil and coconut oil also help pull radiation out of the body. The lipids in the oils bind the toxins, and protect cellular membranes. Studies on mice exposed to x-rays found that the mice can survive if they are given oil. Another study on mice found that olive oil could protect the mice against high amounts of x-rays ranging from 300 to 2,400 roentgens. Sources recommend using organic Brewers use for prevention against radiation exposure. In terms of amount, 5 mg. to 15 mg. should be given to children, and 25 mg. to 50 mg. can be given to adults. For cases of direct exposure, these amounts can be doubled, or tripled. Brewer’s yeast can also aid the body in repair after exposure as well as protection. When we are exposed to radiation, the rays from this exposure release harmful electrons the kill blood cells (hemoglobin). Organic geranium can grab up these radioactive emissions letting them to move freely within the the Germanium instead of entering our human cells and bloodstream. This is related to geranium’s ability to protect the amino acid cysteine in the body. Other studies showed a strong link between germanium-132 and a powerful reduction in death of cells exposed to cesium-137 and gamma rays. Japanese recommend about 100 mg. per day. Kenneth R. Markham, Maria Campos. 7- and 8-O-methylherbacetin-3-O-sophorosides from bee pollens and some structure/activity observations. Phytochemistry. 1996 November. vol. 43 issue 4 pp. 763-767. Yablokov, A. V., Nesterenko, V. B. and Nesterenko, A. V. (2009), Chapter III. Consequences of the Chernobyl Catastrophe for the Environment. Annals of the New York Academy of Sciences, 1181: 221 – 286. doi: 10.1111/j.1749-6632.2009.04830. Thanks for visiting my site and your nice comment. More people need to be informed on this issue, definitely! Thanks for visiting my site & your comment.